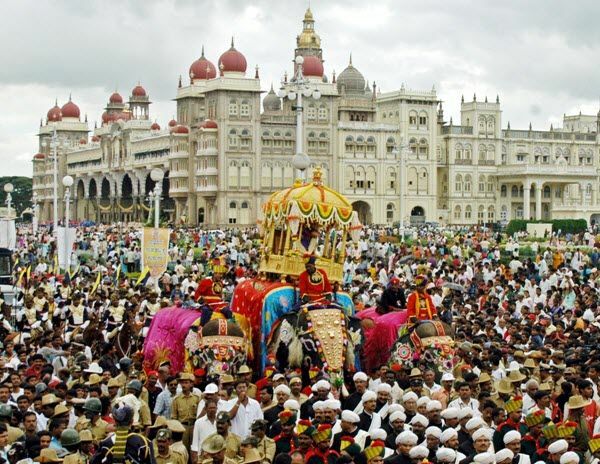 Mysore Dasara: Mysuru Dussehra (Mysore Dasara), the State festival of Karnataka. On Vijayadashami, the traditional Dasara procession (locally known as Jumboo Savari) is held on the streets of Mysore city. The main attraction of this procession is the idol of the Goddess Chamundeshwari which is placed on a golden mantapa (which is around 750 kilograms of gold) on the top of a decorated elephant. The idol is worshipped by the royal couple before it is taken around in the procession. This year Mysore Dasara Jamboo Savari will take place on the auspicious day of Vijaya Dashami on October 19, 2018. 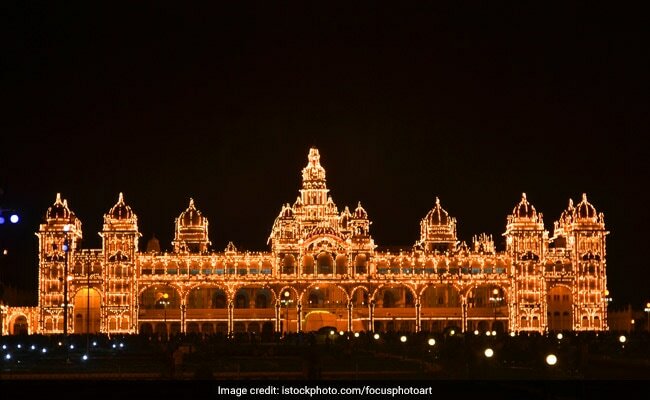 Check out the brief details about Mysore Dasara Jamboo Savari 2018 Live Streaming, Telecast, Watch Online information from the below article. The procession and all the festivities end on the 10th night or Vijayadashami with a torchlight parade at the Bannimantap Parade Grounds. The Dasara procession will have 50 tableaux and 100 cultural troupes from across the state attending. More than 600 artists from Karnataka and neighboring states are giving final touches to tableaux. The torchlight parade at the Banni Mantap grounds has been rescheduled to start at 8 pm. Traditionally, it begins at 7 pm. The Dasara Procession Committee has made seating arrangements for more than 10,000 people inside Mysore Palace. Police have barricaded the four-km procession route and banned climbing trees and heritage structures by people to watch the colourful Jamboo Savari. The police have deployed additional 4,000 personnel and installed more than 50 CCTV cameras on the procession route. The Dasara processions, including the Jamboo Savari and the Torchlight Parade (that is held after the end of Jamboo Savari) can be watched online via official live streams offered by all Kannada news channels (and a few of the national news channels). Public TV Kannada, BTV News, Janashri News Live, TV9 Kannada channels offer the online streaming of 2018 Mysuru Dasara Celebrations. 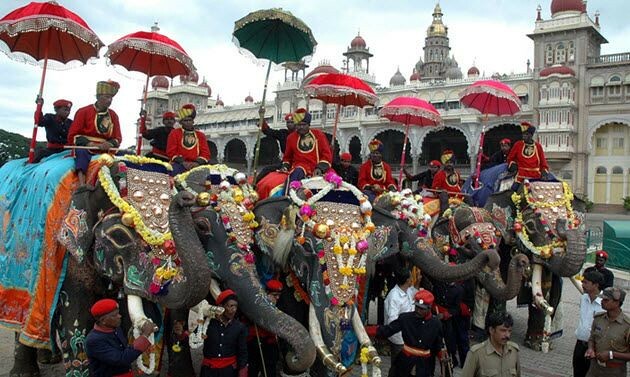 The highlight of the festivities is the 10-day Mysore Dasara festival in the Mysore Palace. The entire palace is decorated with about 100,000 light bulbs that illuminate and brighten the sky from 7 P.M to 10 P.M on each day of the festival. Many cultural and religious programs, song and dance performances are also organised in front of the palace. 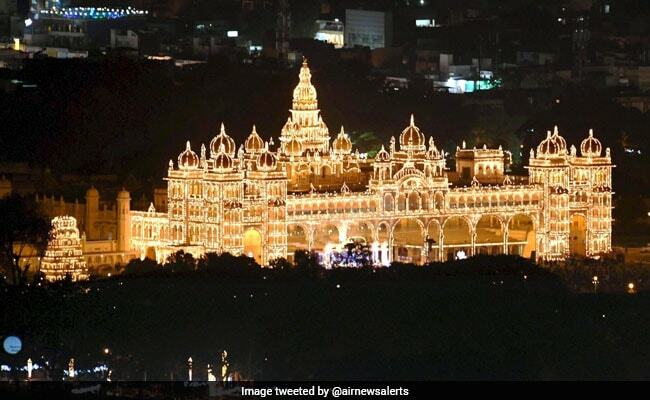 Hope you like this, Mysore Dasara Jamboo Savari 2018 Live Streaming, Telecast, Watch Online and Mysuru Dussehra 2018 Procession and Celebration arrangements and details. If you like this, then please share it to your friends.